Joining the line-up of Take Me to the River this year is Art on the Kinni! Art on the Kinni, now in its 20th year, is a popular community art fair along the shady banks of the Kinnickinnic River in downtown River Falls. The one-day festival produced by the River Falls Community Arts Base includes a 60 juried artists, two stages of live music, local food vendors and tons of artful fun! 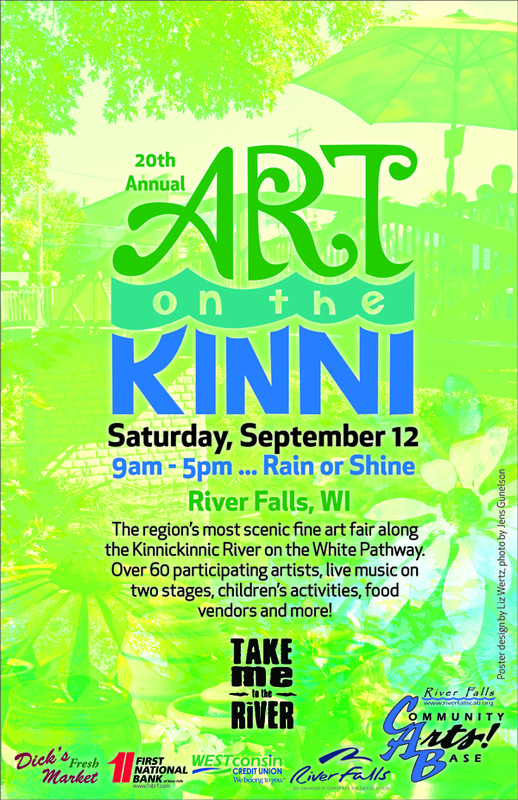 Art on the Kinni will help kick-off three weekends of Take Me to the River celebrations on Saturday, September 12.